Keeping up with the tradition of excellence, Welingkarites blitzkrieged into the bastion of Eximius at IIM-B as they pulled off a clean sweep of trophies at the host institution. Teams of two each bagged the first and second position at the Cinepolis sponsored ‘Hazaar ka Bazaar ‘under the umbrella event ‘Eximius-11’ held on 13th-14th of August. Eximius is an annual event that attracts and tests the marketing potential of its participants spread over 150 colleges across the nation. This time the focus was on breakthrough start-ups with the theme ‘Unconventional entrepreneurship’, the contestants had to market two products in a rural market. The event by the Entrepreneurship and Innovation Cell of the Indian Institute of Management in Bangalore (IIM-B) happens to be the Institute’s flagship entrepreneurship summit. Each contestant was asked to conceptualize two products or service for the rural areas. This was to be explained in the form of a skit, a prototype, diagrams etc. The product/service was evaluated based on originality, market effectiveness, marketing channel and convincing the consumer. 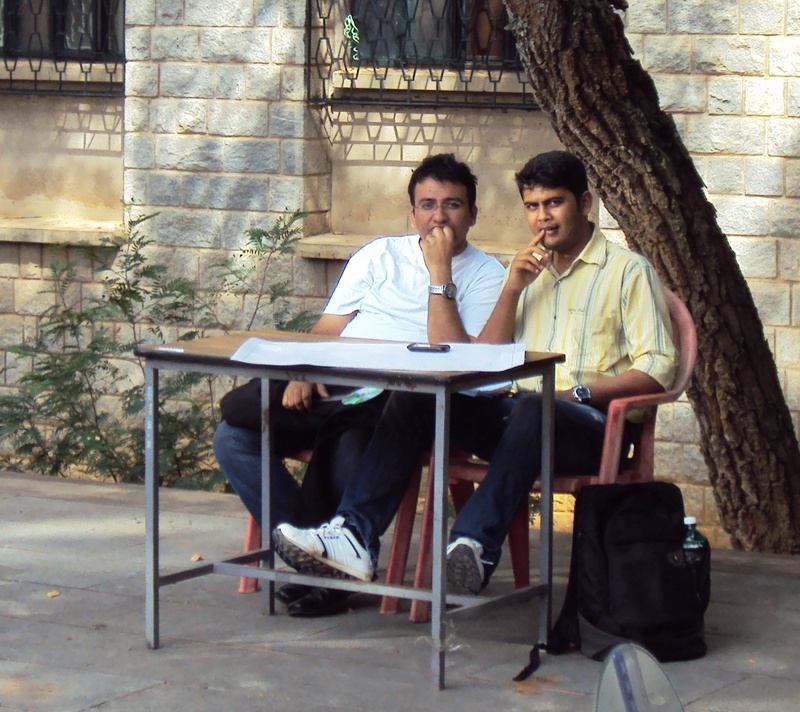 The first position went to Gaurab Ganguly and Mayank Shah, both from PGDM (Business Design-2011-13). Their off the beaten track ideas spoke of ‘Jal – Hindola’ – A merry-go-round that would pump water to a central overhead tank from where it could be distributed to the entire village. The ‘Jal-Hindola’ would be located in schools and playgrounds wherein children playing around it would put the pump in motion for pushing the ground water to the tank. This would save the efforts of hand pumping or carrying water for long distances. The judges were swept off their feet by the judicious mix of fun and pragmatism as the team gave a diagrammatic presentation of the concept. Their second idea unfolded the concept of ‘ Mitti – Cool’, a cooling unit made of baked clay for keeping food stuffs cool over a period of time. It has a two layered wall with water in between, having the same principle as the traditional clay utensils that are used to cool water. The other duo, Navin Kamath ( PGDM E -Biz (Marketing) and Parikshit Loke (Finance) which bagged the second position, had an equally interesting set of ideas up their sleeve. They had come up with the idea of Solar powered LED Lamps for rural areas and explained it with a skit. The idea was to install a large solar panel in the village and provide light through LED lamps using pay per use model,in a cost effective and affordable manner for the people in the rural areas. In the second round the team offered the idea of providing toll free services to the rural masses particularly to the farmers to help them with information to sell their crops at a place where they can reap maximum profit. This included tie-ups with corporates and other organizations to install server and service centers in the villages. 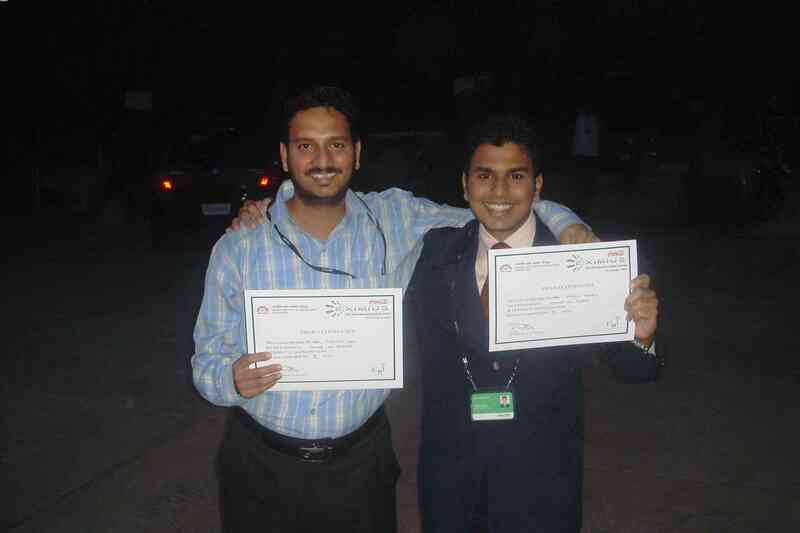 The third position went to the team from IIM B. The winners got prizes that included cash, gift vouchers as well as certificates .The winners expressed their gratitude to Prof. Shekar Prabhakar Associate Professor – Marketing for all the support they got from him for making this achievement possible. WeSchool congratulates the winning teams! hats off to BD juniors!!! Thanks on your marvelous posting! I seriously enjoyed reading it, you are a great author.I will be sure to bookmark your blog and may come back from now on. I want to encourage you to continue your great writing, have a nice morning! I really love approaching your website! your amazing strategy to see things is what keeps me interested. Thanks so much!!!! Great post, bless you for that. Can I consult the blogger where he or she purchased his style and design? Or does it appear normal at this blog? Keep it up and many thanks again for your time and efforts. Generally I do not read article on blogs, however I would like to say that this write-up very pressured me to try and do so! Your writing taste has been amazed me. Thanks, quite nice article.